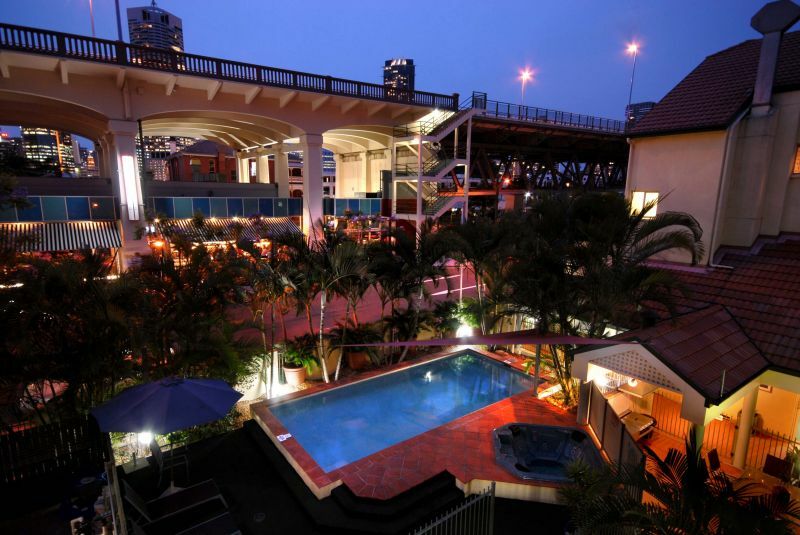 Our property, ideally located in Kangaroo Point overlooking Brisbane's central business district and adjacent to the iconic Story Bridge Hotel, provides easy access to the CBD, East Brisbane, Southside Brisbane, Murarrie, Southbank, The Exhibition and Convention Centre, the Gabba, Fortitude Valley and China Town. Our location also provides convenient access to various means of public transport for quick and easy access to these locations. 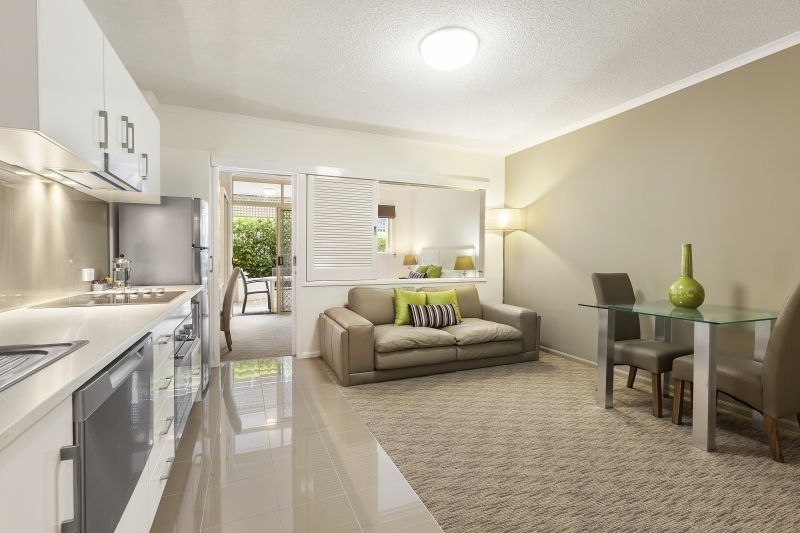 Our refurbished one and two bedroom apartments include fully equipped kitchens, air-conditioning, Foxtel, laundry facilities and a private balcony. All corporate guests can also enjoy free secure under cover car parking and WIFI plus the use of the swimming pool, gym and barbeque area. With a selection of local restaurants it is the ideal accommodation choice for the corporate traveller. 2 bedroom Loft style apartment. 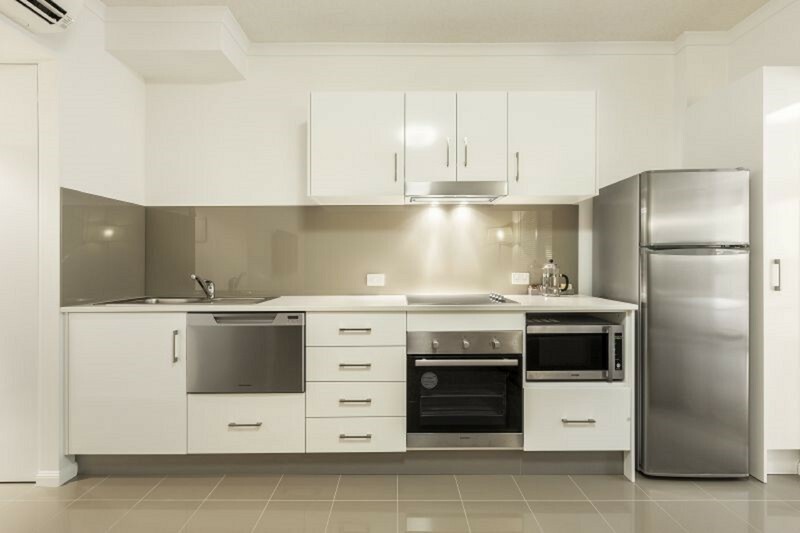 Full kitchen, dishwasher, oven, full size fridge. Main bedroom upstairs with ensuite. Second bedroom has 2 single beds. Entry to living area from front door is via second bedroom. Built in laundry. 1 bedroom apartment with fully kitchen, dishwasher, over, full size refrigerator. Private courtyard or balcony.